Waking up in the morning and doing mundane activities such as fixing your bed, throwing yourself in the cold bath, rushing to get breakfast ready or maybe skip breakfast can be a drag. 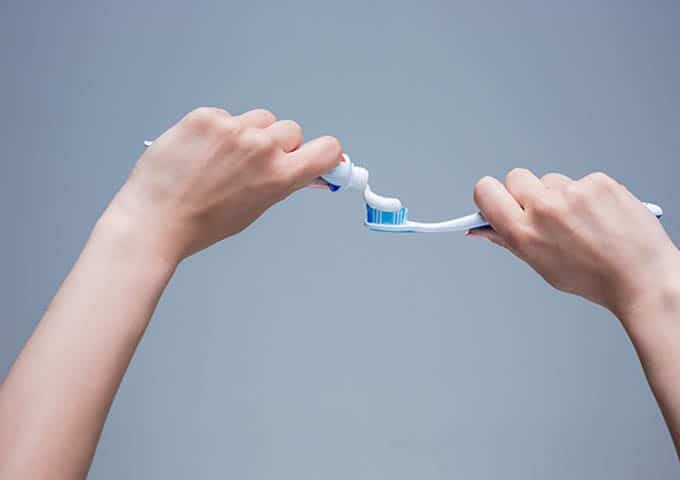 But when it gets to that part of your morning routine to pick up your toothbrush, squeeze that tube of toothpaste into your toothbrush and brush your teeth, its when the day actually starts to feel fresh and invigorating, all thanks to that minty, revitalizing feeling you get when brushing your teeth. Toothpastes are a necessity in our everyday lives. Its benefits is a combination of antimicrobial, tartar control and teeth whitening. The effectiveness and quality of toothpastes are regarded from its different formulations each delivering unique characteristics. Finally, its overall performance in teeth protection and beautification depends on how efficient and good mixers are in processing and manufacturing these toothpastes delivered in tubes in our grocery stores. Toothpastes are basically made up of binders, abrasives, sudsers, humectants, additives, sweeteners, fluorides, whiteners, preservatives and water in different proportions, according to a company’s formulation. The liquid ingredients are prepared first such as the water, sorbitol/glycerin. Powdered ingredients are dry blended with others ingredients. Next, the sweetener and preservative is added. Premixed abrasive/filler is added with the liquid base. Flavoring and coloring are added. Finally, under slow speed mixing, the detergent is added to minimize foaming. The major problem in mixing toothpaste ingredients is aeration, which is usually enhanced by the detergents or powders added because powders contain small amounts of air. Premixing with other liquid or powdered ingredients increases process time and costs. With Ginhong’s High Shear Mixer, some problems summarized above can be solved with this mixer’s ability to emulsify and homogenize the mixture with its rotor/stator assembly configuration and an incredibly high speed manner of mixing. However, high speed mixing may be a disadvantage in processing high viscosity and abrasive slurries because it further intensifies the physical and chemical properties of the mixture. Thus, when using a High Shear Mixer for processing toothpaste ingredients, it must be in conjunction with Ginhong’s non-reciprocating positive displacement pump for processing abrasive ingredients first. Ginhong’s Vacuum Emulsifier is also a good choice as products are processed under vacuum, eliminating the major problem in aeration. Vacuum produces an almost air-free environment during mixing which enhances mixing quality and guaranteed company savings can be benefited from this type of mixer. Ginhong’s Planetary mixer and Multi-Shaft mixer can also be your option for toothpaste manufacturing. These mixers have powerful blades and products are entirely mixed due to the agitators special configuration inside the mixing tank. No dead spaces are left and mixing time is fast. These mixers are the best choice for products which are thick and need a potent way of mixing at the fastest possible time. The overall mixing system forms a closed loop under vacuum, preventing unwanted air from entering into the system. guarantee proper and complete mixing of the materials leaving no dead spaces or parts that aren’t touched and mixed by the movement of the agitator around the entire mixing area. Ginhong processes mixing applications under vacuum, which is beneficial for binders in toothpaste production. High shear and high speed mixing guarantees deagglomeration the mix before the detergent and thickeners are added and refining of finished product prior to packing. Performs mixing under vacuum which greatly eliminates the unwanted effects of aeration.